That day in 1901 when Skotschau’s newly expanded house of worship was re-opened was particularly meaningful for great-grandfather David Spitzer who had led the community for more than forty years. Like many young Jewish men freed from residence requirements in the Austro-Hungarian Empire after the revolution of 1848, he had left his birthplace in Terlicko, Moravia, at the age of twenty-six for opportunity elsewhere. 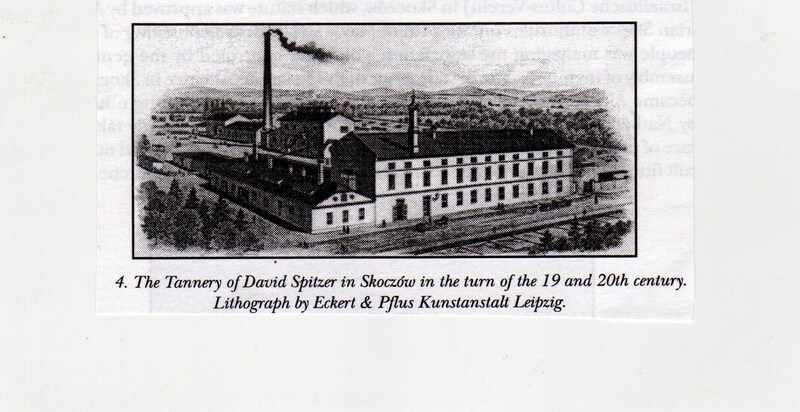 In David’s case, it was marriage to Rosa Lindner, the daughter of a successful dry goods retailer, that led to his taking up residence in Skotschau. The Lindner shop, fronting the town square, had been in existence since 1820. From what we know of David’s later history, a flourishing Jewish community also beckoned. The Skotschau Jews had done so well that as early as 1850, they were able to build a small house of prayer. Though they lacked the privileges of independence–taxes were paid to the official Jewish community in Cieszyn which had permission to hire the itinerant rabbi and keep the birth and death records–the building reflected their affluence and cohesion. Once settled, David, exhibited the independence essential for an entrepreneur. He did not join his new in-laws’ flourishing business, but set up on his own as a tanner. He must have had some experience in the profession, since he recognized in Skotschau all the requisites for the process of transforming hides into leather. The two streams that ran through the town provided sufficient water for soaking, while the oak and spruce trees in the surrounding woodlands were a source for the vegetable tannin essential for curing. Raw skins could be acquired from the slaughter houses in the nearby towns of Cieszyn and Bielsko and trade was eased by the nearby Emperor’s Road which ran through the area from Vienna to Krakow and on to Lodz. The business developed apace and when, in 1875, David acquired a former brewery, he was able expand his workshop into a full-scale factory. The tannery was soon the largest employer in town. David proved to be a leader with energy to spare. In the tradition of the court Jews who deemed it a matter of honor to use their privileges and influence to protect their co-religionists, so the industrial elite at mid-century took it upon themselves to give financial and managerial support to their burgeoning religious communities. At the same time that he was expanding the tannery, David was serving as the head of the Skotschau Religious Alliance which oversaw the Jewish communal property, supervised the kosher butcher and cantor and ran a small religious school. In 1892, the growing number of Jews in cities and towns throughout Austria convinced the government in Vienna to introduce a new territorial division of the Jewish communities. Skotschau was given its independence and put in charge of a district which included more than 600 Jews. Creating an organization capable of handling these new responsibilities was tantamount to setting up a local government from scratch. It was David who steered the community through the process. As head of the electoral committee, he had to determine which Jews had sufficient income to be taxed and were therefore eligible to vote for the members of the new administration. Once elected head of the managing board, he performed this function, without pay, from 1893-1902 and, once again from 1905-1908. It was under his first term that, over a period of six years, the official statutes were written spelling out in complete detail how the community was to fulfill the religious needs of its members. 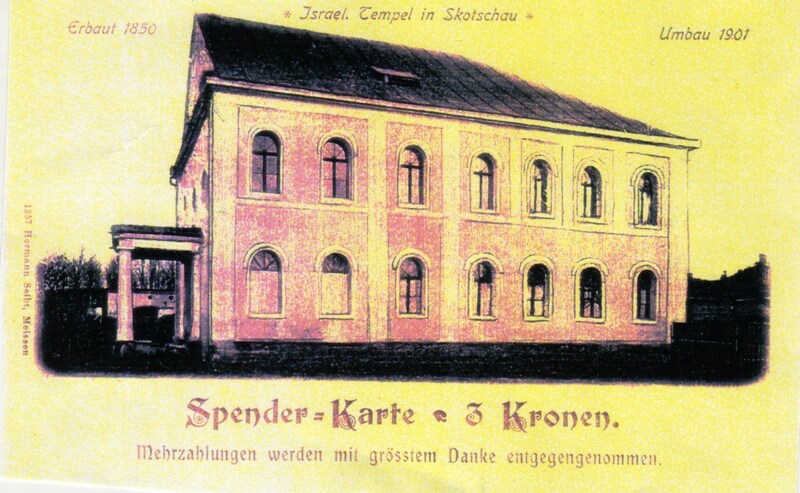 With the re-dedication of the synagogue in 1901, the Jewish house of worship took its rightful place in Skotschau alongside the Catholic and Protestant churches. More than a symbol of the success, growth and official status of the community, the building reflected a Jewish minority that, at the turn of the century, was unusually integrated into Skotschau’s mixed population of Polish Catholics and German Protestants. Working as industrialists, lawyers, doctors, and merchants, Jews were also members of the town council, volunteers in the fire brigade, members of the all-male glee club. A local string quartet was divided equally between Polish and Jewish players. Energy, ambition and the cultivation of useful contacts had made a successful businessman of great-grandfather Leopold Guttmann in the 1890’s. But a decade before, crafty politicians had already begun to draw on old anti-Semitic attitudes to fan resentment of Jewish achievements. By 1897, the politics of prejudice had come so far that Vienna’s elected Mayor was Karl Lueger, the leader of the anti-Semitic Christian Social party. The city’s Jewish population responded in a variety of ways. Some were driven to turn their back on assimilation and re-connect to Jewish traditions and rituals. Others embraced the new movement of Zionism which postulated that there was no future for Jews in Europe. But the Jewish business community was dependent on its fellow citizens no matter what their ethnic stamp. They could not indulge in a policy of retreat, but had to defend themselves in a manner that would neither alienate their adversaries nor suggest that they were a community apart as the Christian Socials tried to insist they were. This was the mission of the Verein zu Hebung der Gewerbe (Society for the Advancement of Business) founded in 1891. Leopold Guttmann was a vice-president. I had a hard time learning about this organization until I came upon a footnote referring to the Society’s 1899 Annual Report. The pamphlet was available in the Central Archives for the History of the Jewish People in Jerusalem! I obtained a copy for $25.00. There is nothing like an original document to convey the mood of a moment in history. The report surprised me. It contained no rallying cry for Jewish businessmen to fight the common enemy. On the contrary, most of the text defining the society’s purpose was self-validating and revolved around improving relations with fellow Jews, both members and non-members. Emphasis was given to the importance of unity and collegiality among a motley group of small manufacturers and master craftsmen that included, among others, stationers, corset makers, and piano builders. Prejudice was an issue, but not that of the anti-Semites. What rankled were the low opinions of businessmen held by fellow Jews. In fact, the crisis brought on by anti-Semitism was only addressed obliquely. The report insisted that all were welcome, whatever their religious affiliation, to the lectures on tax laws, the Austrian economy, and more general topics that were a feature of the society’s monthly meetings. This policy was pointed out as a refutation of the Christian-Social assertion that businesses had ethnic identities. The Annual Report concluded that, after nearly nine years of its existence, the Society for the Advancement of Business had given its members a sense of self-respect among their fellow Jews and provided a united front before the rest of the world. In the end, the Christian-Social campaign against Jewish businesses did not take hold. Jewish entrepreneurs were so deeply woven into the fabric of Vienna’s urban life that it was impossible to dislodge them from what was still a law-abiding society. Leopold Guttmann continued to prosper. In 1900 he moved the business to a mezzanine showroom in the elegant Casa Piccola, a new building combining offices and residences situated at the start of the Mariahilfestrasse, the broad thoroughfare through which Emperor Franz Josef traveled regularly on the way to his suburban palace Schönbrunn. As other tenants moved into the same address, the building became a focal point for some of the cross-currents and controversies of fin-de-siècle culture. About a month ago, two friends from Vienna—the architectural historian Ursula Prokop and her husband Peter, a first-rate archivist—came to visit me in New York. They have been a help with my research in Austria for many years. I was glad to have them with me just as I was beginning to delve into the Siemang/Guttmann partnership. When I asked them the question with which I concluded the last post–what could have prompted the connection between First Lieutenant Stefan Siemang and my great-grandfather, the jeweler/watchmaker Leopold Guttmann–Peter immediately cited an Austrian saying: “Schulden wie ein Stabsoffizier.” (Debts like a Field Officer) In other words, the soldier needed money. Peter’s intuition was confirmed when I deciphered Siemang’s military record and found he owed a great deal. Stefan Siemang had an interesting background. 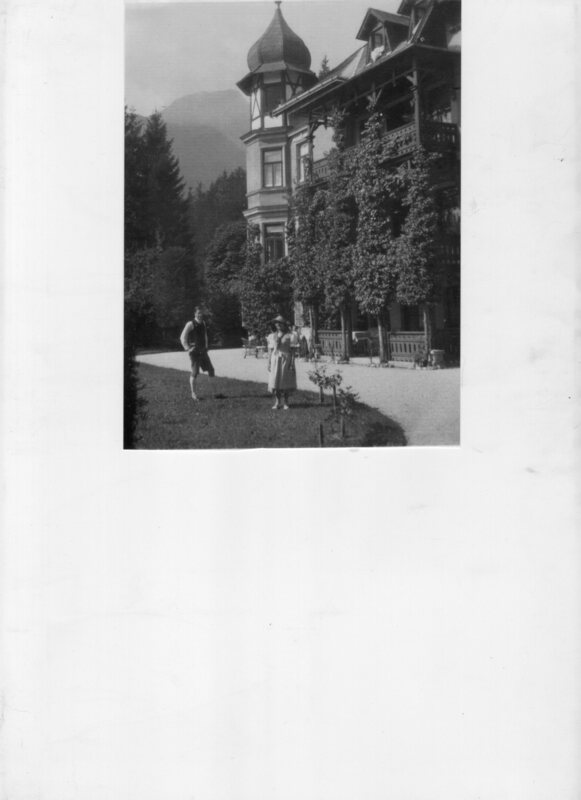 His father, Georg, was the librarian and curator of one of the largest mineralogical collections in Europe, one accumulated over many years by his employer, the Archduke Stephan von Habsburg-Lothringen and displayed in his castle Schaumburg Lahn in Germany. Stefan was born there in 1854, but shortly thereafter his father became ill and left the archduke’s employ. Perhaps this was the reason why young Siemang was sent to a military boarding school when he was ten years old. He went on to a Military Technical College and by 1888, when he and Guttmann must have met, he was a First Lieutenant in an artillery division of the Imperial Army. By then Siemang had already established himself as an inventor and small manufacturer with an important patent for the safety of petroleum lamps. In a booklet he published to stress the value of his discovery, he described thirty-five cases of near-fatal accidents caused by the gas leakage his new device was designed to prevent. Alas, Siemang’s enterprise, set up eight years after Edison patented his light bulbs, and five years after they were shown at the 1883 Electrical Exhibition in Vienna, might have been the source of his debts. Petroleum lamps, safe or not, were on the way out. Undeterred, and with obvious faith in his own ingenuity, Siemang continued to experiment with devices of containment. In January 1888, he patented a closure for ink bottles that prevented spillage and in March of that same year, took out the patent, shared with Leopold Guttmann, on the hygienic closure for the ubiquitous domestic commode. Guttmann, on his part, had made considerable progress by 1889. He was no longer listed as just a watchmaker and jeweler, but also as a manufacturer of watches and clasps. Could it have been as the owner of a factory capable of handling small parts that Leopold attracted the Lieutenant’s attention? By 1895, the new line of odorless commodes with their hermetic seals was a run-away success. 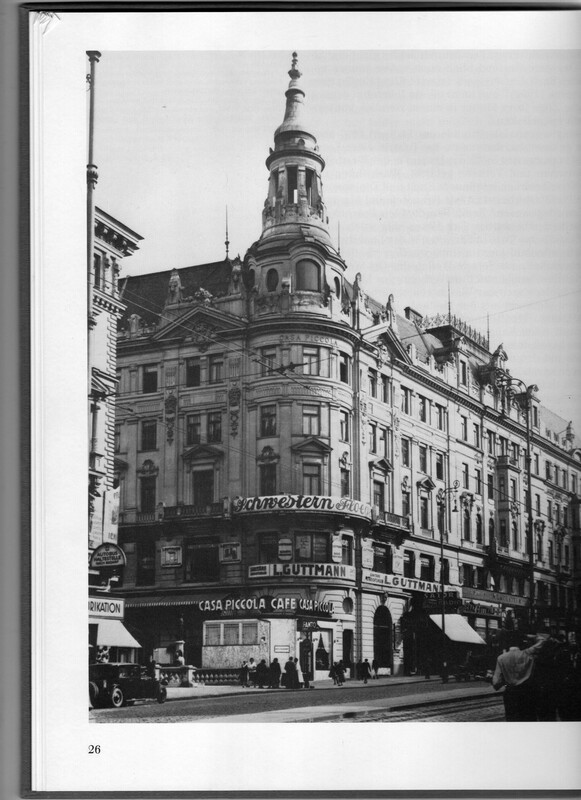 They were advertised as available in a variety of furniture styles, priced in a range from 12 florins to 100 and were on view in a showroom on the Bäckerstrasse that Guttmann called the “leading and largest establishment of its kind in Vienna.” Siemang’s name continued to appear on the patent whenever Guttmann advertised their product, but he was never listed as part of the company. Nonetheless, their partnership, however brief, attested to Vienna’s cosmopolitanism–a city where an army officer and a self-made entrepreneur could join forces to a productive end. That broad-minded urbanity was under threat, however, in the 1890’s and Leopold Guttmann was aware of it. In 1896, he was elected vice-president of the Verein zur Hebung Der Gewerbe (Society for the Advancement of Business). This group of Jewish entrepreneurs were intent on protecting themselves from the growing influence of the anti-Semitic Christian Social party which had been on the rise since the mid 1880’s. Jewish businesses were seriously threatened by the party’s propaganda which encouraged the boycott of Jewish shops and warned Christians against working for Jews. How did Leopold Guttman and his fellow businessmen meet this challenge? What Loos failed to mention was that the presence of any toilet at all in most apartments of fin-de-siècle Vienna–with or without washing facilities–was still considered a luxury, and not only among the lower classes. In each of the city’s twenty-one districts, except the aristocratic first, the number of toilets was less than the number of dwellings, and in six of those it was less by more than forty per cent! 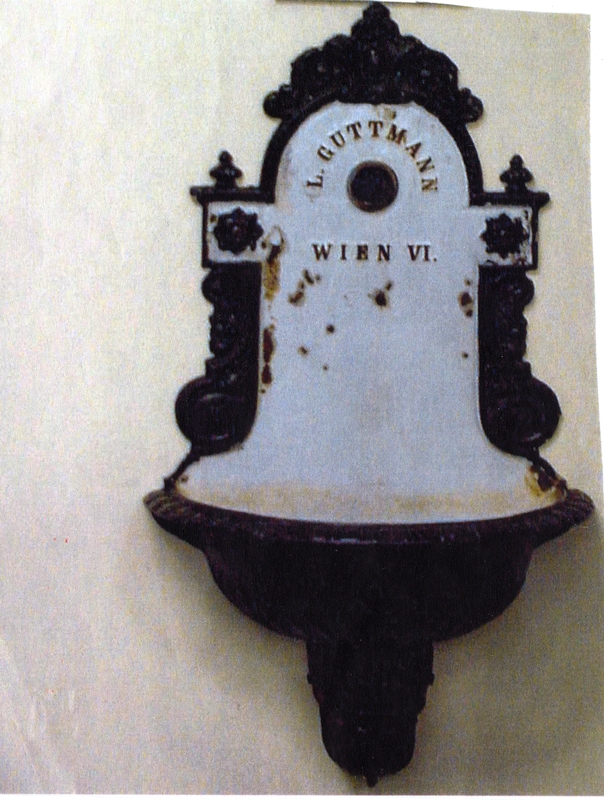 The water supply was usually communal as well—a tap in the corridor served several tenants. This paucity of sanitation facilities, however, was the source of a family fortune on my mother’s side. In 1891, her paternal grandfather, Leopold Guttmann, went from several years of working at the traditional Jewish trade of jeweler and watchmaker to proud purveyor of “commodes and chamber pots” with a patented hygienic, hermetically sealed cover guaranteed to be completely odorless. The communal water basins, known as “bassenas,” were among his products as well. Leopold Guttmann was born in 1852 in the Carpathian mountain town of Sobotiste in what was then Hungary, but is now Slovakia. At the time, Sobotiste had a Jewish community of about 500 families, but for Leopold, like for most ambitious Jewish young men from the provinces of the Austro-Hungarian Empire, Vienna beckoned. I discovered him in the imperial capital via Vienna’s very helpful precursor of the telephone book–Lehmann’s General Directory. Founded in 1859, it listed the addresses of established residents as well as businesses and organizations. The 26-year-old Leopold appears there for the first time in 1878 living in the 8th district and working as a trader in watches. From that point on, year by year, “the Lehmann,” charts his progress. By 1885, he has a watch-making factory, two years later he is also a wholesaler in gold and silver, and in 1890, “L. Guttman” is an incorporated firm handling watches, gold and silver, and jewelry. What a surprise then, when from one year to the next in 1891, the commodes and chamber pots with their hygienic covers suddenly appear as products of the firm. Lehmann lists a patent under the name Siemang-Guttmann. Siemang, I discovered, was one Stefan Siemang. He was not only the holder of several earlier patents, but also a professional soldier, a First Lieutenant in the Artillery Division of the Imperial Army. What could have brought the army officer and the watchmaker/jeweler together? And why was it only Leopold Guttmann who made a flourishing business of their device? Further speculations on this connection and the growing success of Leopold’s enterprise to follow in the next post.